Thanks for joining us for episode 124 of The Ancestral RDs podcast. If you want to keep up with our podcasts, subscribe in iTunes and never miss an episode! Remember, please send us your question if you’d like us to answer it on the show. Today we are excited to be interviewing Todd White! Todd White has been a serial entrepreneur and creator since he was age 17 years old. Today after 15 years in the wine business, his life is dedicated to educating and helping people make better choices about food, nutrition, and how they think about consuming alcohol. He’s the founder of Dry Farm Wines, a writer, speaker, and a leading authority on healthy organic natural wines and the importance of micro dosing alcohol for health, longevity, and vitality. Todd’s passion is unlocking the best way to best way to enjoy alcohol and how to enjoy the benefits of moderate consumption while avoiding the negative outcomes. Enjoying a glass of wine with family and friends over a meal is one of life’s simple pleasures. But for many of us, the unpleasant effects that follow prevent enjoyment. If this sounds like you, you’ll want to join us today for our conversation with Todd White of Dry Farm Wines. We’re thrilled to talk with Todd about how to enjoy the benefits of drinking wine while avoiding negative health outcomes. Listen as Todd reveals surprising truths about the wine industry and shares how Dry Farm Wines differ in quality and health benefits. We also dive into how alcohol affects a ketogenic diet and uncover the real reason why wine can cause headaches and hangovers even in small amounts. As an added bonus, you hear how to take advantage of Todd’s generous offer to our listeners. This is an episode you don’t want to miss! Claim your penny bottle of Dry Farm Wines here! Laura: Hi everyone! Welcome to Episode 124 of The Ancestral RDs podcast. I’m Lara Schoenfeld and with me as always is my co-host Kelsey Kinney. We have a great guest on our show today who’s going to be talking with us all about how to enjoy the benefits of moderate alcohol consumption while avoiding the negative health outcomes that many people experience when drinking. We hope this interview will help answer your questions about how to enjoy alcohol safely. Laura: Welcome back, everybody! I’m really excited to have with us today Todd White. Todd has been a serial entrepreneur and creator since he was age 17 years old. Today after 15 years in the wine business, his life is dedicated to educating and helping people make better choices about food, nutrition, and how they think about consuming alcohol. He’s the founder of Dry Farm Wines, a writer, speaker, and a leading authority on healthy organic natural wines and the importance of micro dosing alcohol for health, longevity, and vitality. Todd’s passion is unlocking the best way to best way to enjoy alcohol and how to enjoy the benefits of moderate consumption while avoiding the negative outcomes. Welcome to the show, Todd! We’re really excited to have you on. Todd: Laura, I’m super excited to be here and I have lots of great wine facts to share with your audience! Laura: Awesome! Well, I know that I am a wine…I don’t want to say fiend, but I’m definitely a wine fan. I had first been exposed to your product ironically at a business conference with Steve and Jordan from SCD lifestyle and they your wine at some of the gatherings that we had that weekend. I really enjoyed it and then that was what promoted my decision to reach out to you and see if we get you on the show. I’m really glad that we can have you on. Laura: Especially because alcohol is one of those funny conversations in the health community because on one hand obviously binge drinking and drinking lots and lots of alcohol wouldn’t be good for you. But if we’re thinking about just moderate consumption, there’s probably a fine line between what would be considered health promoting and what would be detrimental. I think it will be helpful for us to talk about that about that today so our listeners can get a better understanding of how alcohol can play into a healthy lifestyle. You’re the wine expert and alcohol in general, so what are the health benefits of moderate alcohol consumption? Todd: There are many cardiovascular and neurological benefits to moderate consumption of alcohol. Here’s the problem: most people who drink don’t necessarily enjoy moderate doses of alcohol. Part of the problem there, look, alcohol is toxic and poisonous and it can kill you. So can oxygen and water in the wrong dose. So dosage really matters on all of the things that we drink. We really have to think about the dose. This is the reason that we always sell and drink low alcohol wines. I don’t drink spirits. So if you’re Paleo or if you’re interested in a clean diet as we are – I happen to be ketogenic, so in fact I’m in Austin now at KetoCon where I’m speaking tomorrow on the ketogenic diet and eating in restaurants. We’re super sensitive to what we put in our body and we’re very, very fanatical. That’s how we got in this business. So if you’re going to drink alcohol, we recommend a lower dose. There are tons and tons of studies on the positive benefits particularly of drinking red wine. There is over 800 polyphenols in red wine. The most famous is called resveratrol which has been shown in lab animals to extend life and so it is helpful, in very high doses though. It’s a bit of a red herring and misleading for the wine industry to say that you’re going to get beneficial doses of resveratrol from drinking red wine. That’s simply not true. You can’t drink enough of it. But there over 800 other polyphenols included. Most of the polyphenols come from contact with the skin. When you make a red wine, red wine gets its color from skin contact. So the juice from a red wine grape, like the juice from a white wine grape. is clear. The reason that red wines are healthier for you than white wines is because they contain these polyphenols and the polyphenols do not come from the from the grape or the juice, they come from the skin contact which is how you get color in red wine. Anyway, there are many, many, many benefits to moderate – primarily cardiovascular and neurological. Moderate doses of red wine, or wine, or alcohol. Even spirits in very low doses have been shown to have positive benefits cardiovascularly. So it’s not just wine. It’s just that wine contains these other compounds called polyphenols that are particularly helpful for you. But the primary benefit of wine, and I know you can appreciate this. We’ll call you a wine aficionado. As an aficionado, you know that the primary benefit in addition to many wines tasting delicious, and being super friendly with food, and enhancing the dining experience, what wine really does, and particularly in in low doses, is that we just have an increase in euphoria, an increase in creative expression, we have a little opening in our vulnerability window. This is particularly useful in social settings. In our case, we drink generally around the dinner table, which is where we generally drink wine. Wine just elevates that experience. It just makes us a bit more open, makes we’re vulnerable, makes us a bit more loving. This kind of euphoric lifting of the human experience is really the primary health benefit from my point of view because anytime we can love more, and be more vulnerable, and be more open, and laugh more, and really celebrate that that community with family and friends, that’s the real benefit of wine. Do you know what I’m saying? Laura: Yeah, and I would think that you don’t need a super high alcohol content of the wine for you to get that benefit since I think for most people they can imagine just even half a glass of wine is enough to start loosening it up and making you feel a little bit more warm and fuzzy. Todd: Here’s the problem with commercial wines today: The wines you’re buying at your wine store and the wines you’re buying your grocery store, there’s a whole bunch of problems with them. That’s the reason that we’ve been endorsed by virtually every health leader in the country who’s influencing the way people think about their health….Dave Asprey, JJ Virgin, Robb Wolf, David Perlmutter, Dr. Mark Hyman, the list is really long. I’m sure you’ve seen a bunch of this on our website. The reason that we’ve been so widely embraced in the health community is because what’s happening in the wine industry. What’s happening in wine is exactly the same thing that’s happened to our food supply. So there’s been mass corporate consolidation, massive industrial farming. Those two are both being driven by greed. In addition to what your audience doesn’t know is that there are 76 additives approved by the FDA for use in winemaking. The reason your audience doesn’t know that is because it’s the wine industry’s dirty, dark secret and there’s no contents label on a bottle of wine, so you don’t know what’s in it. Now the reason there’s not a content’s label on it is because the wine industry, or more specifically the Wine Institute is as it is known has spent tens of millions of dollars in lobby money to persuade politicians not to put a contents label on a bottle of wine. There’s a simple reason why they don’t want that label on there is because it would look like the rest of processed food labels. It would have a whole bunch of chemicals and additives and compounds that you’ve never heard of and can’t pronounce. What they want you to believe is that it’s just fermented grape juice. That’s not true. It’s this nasty factory product. When I mention mass consolidation earlier, what’s happened in the wine business is that 52 percent of all the wines manufactured in the United States are made by just three giant conglomerates, just three, and the top 30 companies make over 70 percent of the wine made in the United States. They don’t want you to know that either so they hide behind thousands of labels and brands, these massive companies do to have you believe that you’re drinking from a chateau or a farmhouse. The fact of the matter is you’re drinking from a massive factory. Again, wine is sold through story and image. That’s kind of romance. That’s how wine is sold. These multi-billion dollar companies are very clever at having you buy into this romance when in fact you’re drinking from these massive factories. In fact, we don’t even sell any wines made in the United States. I don’t drink domestic wine, I don’t sell domestic wine because there’s no wines made in the United States that meet our strict health criteria. They’re all made in Europe on very small family farms. When you drink these wines…and they’re called natural wines. I know that’s a little confusing to most people because they’re like well, aren’t all wines natural? For the reasons that were just explained to you, no, they’re not. There’s a few hundred, less than five hundred natural winemakers in the world. They’re primarily in Europe. We exclusively sell these natural wines. Natural wines are a very specific winemaking protocol and a very specific farming protocol. And so again, it’s not profitable. You can’t make a lot of volume of it. That’s reason there’s not many people who do it. Only a few hundred, between four and five hundred winemakers in the world. There’s a couple hundred thousand winemakers and a couple hundred thousand labels in the world. There’s less than five hundred of these winemakers. But for your audience, if they search natural wines online, they’re going to find a very specific category for this type of wine. They’re very difficult to find at retail unless you live in a major market like New York, or San Francisco, Los Angeles, a little bit in Chicago. Unless you live in like one of these major, major markets for food and wine, they’re just not going to be available at retail. They are not available at Whole Foods. Whole Foods is an example; you might find an “organic wine”. You may see organic wines at retail, but organic is not natural. Organic is describes the farming practices. You can have you can have an organic wine that’s still filled with additives. You wouldn’t know that because it says organic and you think it’s clean, but in fact it’s not unless it’s naturally made. Naturally means that it has no additives and that it’s fermented with wild native yeast. Almost all wines in the United States and globally are fermented with genetically modified commercial yeast, not the native natural yeast indigenous to the vineyard. All natural wines are fermented with native natural yeast and that’s very important. It’s also very difficult. On the skin of grapes, yeast already exist on every grape skin. If you pick some ripe grapes off the vine and you just throw them in a bucket and the skins break, the grape juice will begin to ferment without you doing anything else to it because there’s already yeast present on the skin of the grape. Those are called native wild yeast that are indigenous to the vineyard where they’re grown. Yeast is floating around in the air and they stick to the outside of the grape skin. This is Mother Nature. So when you think of natural wines, natural wines are also dry farmed meaning they don’t have any irrigation. That’s also very important. The name of our company is Dry Farm Wines. Laura: Yeah, I was going to say that’s the name! Todd: Hence all of our wines are dry farmed. It’s very important to have dry farming. 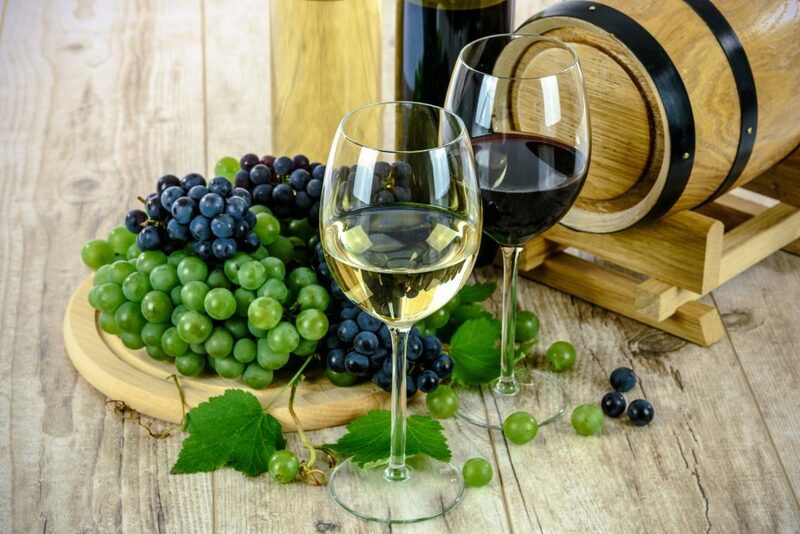 Irrigation, think of it this way: When you think about natural wine or natural food product, let’s talk about natural wines, irrigation is the very first intervention into nature’s logic. Grape vines have been living for over 10,000 years all over the world in some of the hottest, driest climates in the world and never been irrigated. Irrigation in fact didn’t come into grape farming in the United States until 1973. So prior to 1973, all vineyards in the United States were on unirrigated. There’s a reason why you irrigated a grape vine. In fact it’s illegal to irrigate in most of Europe. It’s against the law. I mean punishable. It’s a crime. I mean they take their great growing very seriously. Europeans who have been making wine for about 4,000 years know what I know, which is the moment you intervene in nature’s logic and irrigate a grape vine, you fundamentally changed the physiology of the plant and most particularly how it ripens fruit. But the reason you irrigate and the reason that almost 100 percent of U.S. vineyards are now irrigated is because it’s more profitable. The fruit yields more and it weighs more when it’s filled with water. Fruit is sold by the ton so we irrigate for greed. It’s a prevailing theme throughout our food supply and now the wine supply in the United States is about greed and it’s about more money. Same thing when you talk about industrial farming. The active chemical Roundup, which is as you know glyphosate, is illegal in Europe. Roundup is the number one administered herbicide in U.S. vineyards. Just last year a study was released by Better Moms For America that took samples and screened them for glyphosate in U.S. wines in three California Appalachians…and the study is online, it’s Better Moms For America, glyphosate in wine – super simple. You get a ton of results on that search. And 100 percent of all the wines tested both in organic and non-organic farms tested positive for glyphosate. The reason that they think that is the case is it’s believed that it’s coming through that irrigation, not through overspray When Roundup is applied in a vineyard, it’s not applied the same way that you would have in a wheat field where it’s sprayed from above from a plane. That’s how it’s applied in wheat as an example. But in grapes, it’s applied very close to the ground. It’s not sprayed from above so it’s very closely applied. You don’t really have much of an opportunity for classic overspray in a neighboring farm. When you do have overspray…it’s a critical problem in the Midwest. You have overspray from these crop planes. I don’t know if you’ve read about those. It’s this terrible problem for organic farmers who are farming near industrial farms. But anyway, so all of these things matter: the additives, the glyphosate, the irrigation, the manipulations, the coloring agents. Have you ever gotten purple teeth? Have you ever seen people get purple teeth from drinking red wine? Todd: Okay, well, that’s not a natural process. When you drink our red wines, your teeth will not be stained. You will not get purple teeth. That purple color, guess what? It’s coming from a color agent called Mega Purple. Color agents are commonly used in red wines in the United States. Here’s why: Because Americans perceive…and you may even have this idea or thought of this…Americans perceive that the darker a red wine is that the better and richer it’s going to be, so they associate darkness with the quality of red wine. There’s absolutely no truth to that. But because of that, these color agents, and stabilizers, and body agents are commonly used to give wine more structure. But those are additives. That’s not a natural process. So anyway, there’s just there’s a whole bunch going on there. Laura: Yeah. It’s funny because I’m just thinking about the kind of wines that I’ve gotten, even the ones that like you said are organic. You think you’re getting a good product because usually with food, if it’s organic, it’s going to be better than the conventional. But it sounds like even that organic label isn’t really improving the product a whole lot. Todd: At least you’re not drinking something that’s been industrially farmed, so i’s chemical free in farming. Buying and organic wine is certainly an enhancement, certainly an improvement over industrial farming. But the point is just because it says organic, in most cases even though the fruit is organic, the wine is not clean. Both wines are going to be not clean. I’d rather drink did not clean wine that at least had chemical free farming. Does that make sense? Laura: Definitely. Why do you think there aren’t any natural wineries in the United States? What prevents people from getting started with that kind of winery? Todd: There’s a handful, we call them a handful of natural winemakers in the United States, primarily in California and a couple in Oregon and Washington State. There are a handful. Here’s the problem: Their wines don’t meet our health criteria. Just because a wine is naturally made does not mean it meets our very strict standards. Our standards of purity are higher than just the natural bar. Dry Farm Wines, we do independent lab testing on every single wine before it’s accepted into our program. As I mentioned earlier in the podcast, one of the criteria in addition to as I just mentioned, almost all U.S. vineyards are irrigated. We will not sell the irrigated wine. A wine can still be largely naturally made but have some irrigation. It won’t qualify for our program. Also a wine can be naturally made and still contain sugar, and we only sell sugar free wine. We commonly reject wines for sugar even though it might be naturally made. We test wines that are grown in Europe all to our specifications and would meet our criteria except it contains sugar. We’re really anti-osugar. We think sugar is the most damaging toxin to the most abused toxin in American health. I think it’s probably public health enemy number one. We’re sugar free. We recommend that people abstain from eating or drinking as much sugar as they can. We test for a whole bunch of things, and I’ll cover some things that we test for, but sugar is one of them. Alcohol is another. We don’t sell wines over twelve and a half percent alcohol. Most of the wines I drink personally are between ten and a half and eleven and a half percent alcohol. The reason being is as I covered earlier, alcohol is toxic. I don’t want to have a glass of wine. I want to drink a bottle of wine or a half a bottle of wine. I want to sit down and drink a bottle of wine over dinner over the course of several hours. By lowering the inherent dose of alcohol in the bottle, then I’m able to drink more and not have the negative remnant effects of a higher dose of alcohol. I happen to like the taste of wine and I like drinking it throughout the meal and throughout my evening with my friends and family. If I lower down the dosage, the inherent dose in the bottle, then I can drink more and have a more pleasant euphoric kind of creative buzz. Once we cross over this plateau of sort of euphoric creative expression, and excitement, and kind of happy fun, once we get too much alcohol then we start going down the other side where it’s not as rewarding, and we’re not as cognitively connected, and we’re not as creative. Most people don’t have a half a glass or even a glass. Let’s be clear. Most wine drinkers have several glasses, or two, or three. There’s five-five ounce glasses in a bottle of wine. So over a course of four or five hours, five-five ounce glasses is not a terrific amount of volume over the course of the night. Alcohol is a super dangerous drug. Used responsibly, it’s super enjoyable and a whopping lot of fun. I drink a bottle of wine every night, so no big deal. The other things to make sure you eat when you drink. We don’t drink during the daytime ever, which is very unusual for people in the wine business. We don’t drink in the daytime. I don’t recommend people drink in the daytime. Be sure and eat when you drink. It’s super important to get something to eat. I only eat once a day. I do 24 hour intermittent fasting. I must eat before I start drinking wine because I’ve been fasted since the night before. The other thing to be mindful of if any of your listeners follow Dave Aspry of Bulletproof, they’ll know about mycotoxins or molds in coffee. Molds are also quite common, I was just reading an article yesterday in San Francisco Magazine, molds are quite common now in cannabis. In California where cannabis is legal as it is I guess in 15 or so states, there’s a huge mold and bacteria problem in cannabis plants as there is in coffee. Here’s the interesting thing: In the United States, screening for mycotoxins…and the real poisonous one is called ochratoxin-A…is not required. We screen all wines for ochratoxin and other mycotoxins which are molds that are present on the vine and they get on the fruit. But in Europe it is required. It is required that all wines are tested for mycotoxins. In the United States, it is not a required test and no wines are tested. The only time a U.S. wine gets tested for a mycotoxin is if it’s exported to Europe where they have to submit a mycotoxin test on the wine before it before it will be accepted by the EU imports. Anyway there’s just lots of craziness. Here’s another fun fact. This is another awesome fact to know about the government and the wine industry. Most of your listeners and as most of our interactions with people, most people don’t even notice, they don’t really even know how much alcohol is in a bottle of wine. People ask me all the time and I say we don’t sell anything over 12 and a half. The next question is, well, how much is in regular wine? Well, it usually ranges between 14 and a half and 17 percent. That’s the general range. Wines categorically can range from 7 percent to 28 percent. That’s a categoric legal range of what would be considered wine. But most commercial wines are between 14 and a half and 17 percent. There’s a big difference between 11 and 16. It’s a huge impact on your cognitive function and your intoxication level. It doesn’t sound like a lot, but it’s a huge deal. But here’s another fact between your friends at the government and the wine industry. The wine stated on the bottle by law is not required to be accurate. So if it says 15 it can be as high legally as 16 and a half, and they’re always understated. The reason that that law exists and the reason it’s legal…and by the way, there’s no compliance, there’s no enforcement or compliance on what’s stated anyway and commonly they are more than a point and a half off. But I’m just saying by law they can be as much as a point and a half higher than what’s stated. The reason that happened was post Prohibition when the testing labs were very inconsistent so you could test alcohol at one lab and you get tested in another lab and there would be variance in the actual measurement because the technology was not that precise. Of course today the technology is super precise, but the wine industry doesn’t want the law changed. They still want to understate the alcohol in the bottle. So it’s all of this kind of craziness that people don’t know about. We’ve kind of uncovered all this as we started biohacking wine and figuring out how to drink healthier. The more you dig in, and the more you investigate, and the more you understand, and the more you kind of pull back the covers, the scarier it gets. Todd: I mean it’s kind of alarming. But this should not be a surprise to anyone because all of these same issues are going on in our food supply. Right. Just three years ago Monsanto was able to get a 25X, not 25 percent, a 25X increase in the allowable traces of glyphosate in our food supply. This is just three years ago. It’s like this is going on all the time. I mean is super hard to avoid these toxins. Laura: Yeah. It’s interesting, on our show we try to teach people how to do their best within the confines of what’s available and what’s even an option for a lot of people. So on one hand, we definitely want people to be educated. We want people to understand that there are risks of these industrial produced foods, and alcohol, and cosmetics, and all that stuff. And then on the other hand, we obviously want people to understand that they have options, and they have things that they can do to reduce those risks, and decisions that they can make. One decision could be abstaining from alcohol, not drinking wine and not being exposed to those issues. And then another option is finding wine that maybe is a bit more expensive but does provide this reduced health risk or even health benefits that maybe this industrial wine doesn’t. I think it’s really important for people to remember that they have options. Just being able to find alternatives to what’s commonly available or even knowing what to look for I think is really helpful when somebody wants to be improving their health. We have a couple of questions from listeners. I have a few that came in through Instagram. A bunch of people were asking the same thing. I want to see if you have some insight into this one question that kept coming up. I’ll just pull this from Amy who wrote this in on Instagram. She asks, “Wine, even small batch wine from local wineries, consistently gives me headaches and migraines. Do you have any suggestions for this? This was just an example of a question that a lot of people are asking. Just in general, why does wine in particular cause so many people hangovers and headaches even if they don’t drink that much? Todd: Very common question, pretty simple answer. First of all, I’m going to tell you what isn’t causing it. It’s not the sulfites. It is commonly believed, it is a consumer myth, but it’s commonly believed that sulfites in wine cause hangovers. That’s simply not true and there’s a ton of science to support that that’s not true. Now if someone has a legitimate sulfite allergy…and there’s sulfites and all kinds of foods; fermented foods, dried fruits, potato chips, packed full 50 times the amount of sulfites found and most wines but in other foods. If somebody has a sulfite allergy, they’re walking around with an epi-pen in their pocket, that’s less than 1 percent of the population. Sulfites do not cause hangovers. For women particularly, the number one cause of hangovers, and headaches, and also flushness, tightness, and maybe not quite a headache, but a tightness and pressure right at the forehead just above their nose, sometimes flushing this in the cheeks headaches…and this is particularly for women…it’s histamine and other and other bioamines including tyramine. It’s histamine and tyramine that is the cause of most of these problems and that’s because of how wines are made. Our wines are super low in and these biogenic amines. You’re still going to have some, but they’re super, super low. There’s a huge noticeable difference. The other reason we know conclusively…and common sense will tell you that it’s not sulfites because sulfites are actually higher in white wines categorically than in red wines. And almost everyone who complains of wine hangovers and ill effects from wines, almost all of them complain about the red wine hangover. What you have with red wines is you have the way wine making styles are made now, particularly in the United States, you have very long extractions and macerations (That is contact with the skin. This is again how red wine gets its color) in an attempt to get the wine to have higher body, to have more viscosity in the mouth, have these long finishes, to have to have darker color. The longer the wine has contact with the skin, the darker the color will be and the higher the body of the wine will be, but also much higher histamine and other biogenic amines. So it’s a winemaking style. It’s the way these wines are being made that are making people sick and it is super common. People do not have these effects from natural wines. They do not have these effects from drinking our wines because they’re not made that way. They taste different. They don’t have that big fruit bomb. They’re not super dark like that. They’re health products. They’re made in a natural way so they taste different. From my perspective, they taste better because I eat clean. I have a clean diet. I have a clean palette. One of the first things that…particularly people who are conscious of their health…one of the very first things they say is oh wow! This tastes so clean! Because the way wines are being made, they’re not clean and they’re super high in these biogenic amines. That’s what’s making people feel bad. This is not Todd’s opinion. If you search red wine hangover on Google, you’re going to find a whole bunch of articles that will talk about hangovers being caused from two things primarily: these biogenic amines tyramines and histamines, and then also alcohol. The higher the alcohol content is going to lead to potential hangovers primarily from dehydration. Again, lowering down that dose of alcohol has a huge impact on how you feel the next day. Laura: Do you ever find that people that drink the Dry Farm Wines, can they get to a point where they still get a headache or a hangover from that if they’re sensitive to things like histamines? Todd: I don’t know the answer to that question. I can tell you that I drink and have drank lots of this wine. And my staff, there’s 12 of us, we’re all ketogenic. There’s women and men and we drink copious amounts of this wine without any without any ill effects. Now if I drink a lot…a lot would be say three, four bottles. Laura: That is a lot. Todd: Maybe five. Yeah, you’re going to have some remnant effect. It wouldn’t be like drinking four bottles of traditional wine, but you’re going to have some remnant effect just because you consumed a lot of alcohol. I mean it’s clean, but there’s still a lot of alcohol. Alcohol creates dehydration. The process of cleansing your body of alcohol is pretty nasty. It’s converted aldehyde. When you have a lot of alcohol, I don’t care what form it comes in, you’re going to feel bad. You’re not going to feel as bad on these wines because it doesn’t contain all the other junk and it’s also lower in alcohol. But that’s the reason most people get good hangovers. Here’s what I’ll tell you. Here’s what we tell every customer because we’re the official wine for most health conferences like the one you went to, and Paleo f(x), and Bulletproof, and KetoCon. I mean it’s a long list. We do over 100 events a year where we’re the official wine primarily in the health and performance field. We have contact with lots and lots of people and we do tastings at these events like the one you went to. Oftentimes they’re multiple day events. It’s usually women actually who come up and say I just can’t drink red wine anymore. I can’t drink wine. Or I love wine, but I can’t drink it, it makes me feel bad. I’m like, here, I guarantee you this will treat you differently, so have some wine tonight. Let me know tomorrow how you feel. It’s always the same answer. It’s like, oh wow, I felt great when I got up this morning. No negative effects. It was just awesome! The other thing we tell a customer is look, if you buy our wine and it makes you feel bad, keep the wine and we’ll give you your money back. That’s just how comfortable we are with this just never happens. The two cases I can recall were both women. Women seem to be more adversely affected by this because I think they’re more sensitive to histamine than men. But just a couple out of thousands, and thousands, and thousands of people that that we sell wine to can I remember calling up and saying hey, this wine, I’ve still had a negative experience with it. But listen, if you buy wine from us, you get it and it makes you feel bad, call us, tell us. Keep the wine, give it to your neighbors, give it to your friend and we’ll give you a hundred percent of your money back. Laura: I can only imagine these people at the conferences who have usually bad experiences with wine and you’re saying I promise it won’t make you feel sick. And they’re like, well, here goes nothing! They probably have a presentation to do the next day and they’re like fingers crossed that the wine doesn’t cause them problems. I’m sure they’re super excited when they wake up the next day and it’s like oh, I don’t feel terrible. That’s awesome. I remember we had some of the champagne from you guys at the event and it was funny because we had enough to the point where they had a little extra and nobody else wanted to take it, so I just took some and my husband and I had it. It was really good. It’s funny, I think champagne tends to be something that kind of makes me feel a little loopy really fast, which I’m sure other people experience that, too. I didn’t feel that way on the champagne that was from your company. I would imagine is that partially because the alcohol is lower? Todd: There’s a whole bunch going on in champagne. Here’s the problem with champagne and how natural wines, which are not champagne, they’re actually sparkling wines. Champagne itself in order to be called champagne must be grown and made in the Champagne region in France. All other wines are just known as sparkling wines. So that being said, the way natural sparkling wines are made, they are made completely different. First of all, there is no organic, sugar free champagne in the world. The whole Champagne region is filled with industrial farming. And in addition to that, it’s also high in sugar. This is another reason that it’s causing you to feel bad. The other thing is that the bubbles…I don’t know if you remember the sparkling wine that you were drinking from us, but it’s a creamy or a smaller bubble. It’s not as effervescent. It’s not as hyper carbonated and so the bubble is very small so it has an almost creamy texture to it. You’re not getting as much of this exaggerated carbonation which is like kind of forcing and pushing more alcohol into your system. This is one of the reasons. Also they’re sugar free. Sparkling wines that are sugar free are very hard to find. We only have been able to find maybe 20 in the world that are sparkling, delicious, and sugar free. So sugar is another cause of that problem for most people with champagne. And also it’s just not clean. It’s not a clean product. You need to find a natural sparkling wine. Natural sparkling wines are so rare and impossible to find even in major markets. I mean natural wines increasingly are getting difficult to find because we buy them all. Well we’re the largest reseller of natural wines in the world. Laura: It’s funny, I always forget that the champagne thing is specific to the region. I knew that and it’s one of those things that I feel like I’m just so used to calling it champagne. I’m sure this is pretty common with most people that aren’t wine experts. But yeah, now that I’m remembering it was just the sparkling white wine. But it was really good. I’m turning into what else…I think we had red and white wine from you guys, too. It was one of those things were a lot of the people at the business conference were not people that drink much because of the kind of health issues that they have. So it was cool that they were able to without having problems because a lot of the questions that I got on the Instagram question kind of round-up that I did were people that have issues like the headaches. One woman mentioned that she ends up getting really bad flushing and tachycardia. Todd: That’s histamine. I talked about that earlier. When you’re having this flushing that is a histamine reaction. We’re endorsed by you the largest histamine blogger who is this histamine chef. We’re endorsed by a bunch of histamine bloggers because you just simply don’t have the same effect that you have with commercial wines. But the splotchyness, the flushness, the redness, again this slight tension right in the middle of the forehead, this is these are histamine reactions. It’s funny because the woman who asked that specific question, her name Stephanie, she says that she lives in Concord Country in Pennsylvania and she wants to be able to enjoy her local wine. Todd: I don’t think she’s going to be able to do that. Laura: She says I love the idea of someday being able to chill with a glass of wine out on the porch. It’s like maybe she won’t be able to do her local wine but it sounds like she could at least try out this Dry Farm Wine and see if that is something that works for her. Laura: That’s kind of a bummer though. I feel like there’s all these wineries around the U.S. and they’re fun to go to as far as just like the experience of being at a winery. But it sounds like it would be pretty hard to find one that also had the kind of product that you guys sell at the same time. Laura: Let me see if I have any other questions from because most people, like I said, they’re asking about the headaches and the migraines. Somebody asked how to find a good low sulfite wine. It sounds like maybe sulfites are not quite the problem that we’ve been led to believe, but maybe having really high levels of sulfite could potentially. Todd: We experimented with different levels of sulfite consumption. I will tell you natural wines do not have added sulfur dioxide which sterilizes and preserves the wine. So when you think about these big wine manufacturers, what they’re trying to do is create a shelf stable product that can withstand all kinds of conditions. And they also sterilize it. They also sterilize it to produce more of a consistency and taste so they want every bottle to kind of be the same. It’s kind of the McDonald’s approach to wine. My experience is that sulfite really has little to do with how I feel, but it certainly has a huge impact on how the wine tastes. We’re really tastemakers. It’s not just about health, it’s about aesthetic. I mean I want delicious wine, interesting wines. I want sophisticated and elegant wines that have soul, and character, and depth. When you sterilize a wine, you rob it of its soul. Health is one thing, but we’re also super into taste, which is why we eat from farmer’s markets, and why we eat at farm to table restaurants, why we eat real food, why we eat real extra virgin olive oil that’s current harvest, why we eat grass fed butter. These things all matter because we’re super into taste. I mean we’re in the taste business, so it’s not just about our health. It’s about having an amazing taste experience as well. These are handmade artisan products. They’re also not expensive. We sell wines that are all the same price. We sell them all for $22 a bottle. For a handcrafted artisan product, for a fine wine product, they’re relatively inexpensive. Todd: Even if you go in your grocery store and you buy a bottle of Mondavi, which is a big commercial wine in your grocery stores, it’s going to be between $30 and $35. And those are just big commercial brands. You can get their second tier labels for $12 to $18 or whatever. You can get their second tier kind of Central Valley Mondavi stuff that’s cheaper. But if you buy their commercial flagship product, it’s going to be between $30 and $35 on your grocery store shelf. I’m sorry, you were going to ask me something? Laura: That’s okay. I was just going to totally shift gears because you had mentioned that your company, and you in particular, are big into the ketogenic lifestyle. I was just curious with alcohol, and I don’t know if this is an issue with just the sugar in wine or the alcohol itself. How does alcohol normally affect people who are doing a ketogenic diet? Is that something that as long as there’s no sugar in it, it doesn’t kick you out of ketosis? Or does that actually affect your ability to stay in ketosis even with a sugar free wine? Todd: It does not. I don’t drink spirits, so I can’t really comment on drinking spirits as an example. I understand that it will not take you out of ketosis as long as there’s no sugar. In fact Robb Wolf kind of developed what’s known as the NorCal Margarita. It’s tequila, and club soda, and lime. So it’s sugar free. My understanding is that clear, not brown, but clear alcohol, ethyl alcohol like vodka or tequila will not take you out of ketosis. I personally don’t have any experience with it because I don’t drink spirits because they’re too high on alcohol. But our wines definitely do not take you out of ketosis. In fact we do daily blood testing for a whole bunch of different experiments for measuring our ketones in milimole/liter as you know. We also do glucose testing because we believe that the primary chronic health problem affecting most of modern civilization is the hyper production of insulin and insulin resistance. Ketones are one objective for us because we believe that they are a cleaner fuel source and a healthier source of energy them than glycogen, which is the stored blood glucose. But we also want to keep our blood glucose very, very low and stable and insulin secretion as low as possible. But no, I don’t believe that ethyl alcohol takes you….Now brown liquors contain sugars. There’s a whole bunch of stuff going on in brown liquors like bourbon, and whiskey, and Scotch. That’s different. But clear ethyl alcohol like vodka and tequila to my knowledge will not take you out of ketosis, but I don’t have any personal experience testing it. We do test our wine. In fact there was a major diabetic blogger who just who just did a series of tests and published it all online a couple of weeks ago on our Facebook feed that did blood glucose testing with our wines and had no impact on their blood glucose. No impact on blood glucose is going to be no impact on ketone production either. Laura: Cool. I think it’s one of those things that I would imagine most alcohols that people are drinking will have some kind of sugar in it unless like you said it’s a sugar free liquor added to sugar free base. The fact that your wine could be drank by someone who may need a low carb or ketogenic diet, or at least has some level of insulin issue that having sugar containing alcohol would make worse, it sounds like it would be a much better choice for them than the typical one they’re going to find in the grocery store. Todd: If you’re on a ketogenic diet, I mean if you’re that fanatical about your health and your performance outcome…I mean most people begin a ketogenic diet to breakthrough a weight loss plateau. That’s the reason most people experiment with it. That’s certainly what happened with me, but that was four years ago. And you remain committed to a ketogenic lifestyle because of the cognitive performance and enhancements because ketones are just simply a more efficient energy for the brain. There is a ton of research on Parkinson’s, and Alzheimer’s, and other neurological diseases being successfully treated with a ketogenic diet. In fact a ketogenic diet was originally invented in the early 1920s to treat seizures in children. Anyway, but my point is if you’re that kind of disciplined about your health and your performance outcome, you’re likely not drinking high doses of liquor anyway because that’s just not your lifestyle. You know what I’m saying? You’re a wine drinker most likely because wines are just healthier and wine contains other health benefits. If you’re in the ketogenic world, we are the official wine for everything ketogenic. We’re endorsed by Dr. Dominic D’Agostino who’s the leading ketogenic researcher in the United States. If you’re in the ketogenic lifestyle, you’re drinking our wine specifically becuase you know about us and we’re endorsed by every leading figure in that space. We’re also the official wine for the most important ketogenic conference, which is actually a medical conference in Florida called Metabolic Therapeutics which is a study of therapeutic metabolic diets, which is the ketogenic diet. If you’re in that world, then you’re drinking wines already. Laura: Right. Well it seems like they would have to if they were wanting to stay in ketosis and be able to enjoy wine at the same time since most wines at the grocery store at least would probably kick them out. Todd: For sure, for sure. Laura: Well it sounds like there’s a lot of information that I know I learned about wine and just the wine industry in general from our conversation today. Like I said, I’ve tried the wines. I know I at least had the white and the sparkling. I can’t remember if I had the red or not just because it was like 98 degrees in Boulder when we were there, so I just felt like the chilled white wine was a little more appealing at that point because I was sweating. I do remember really liking it and just feeling like it didn’t lead to any sort of a hangover the next day, which was great. I definitely enjoyed it. I know that a lot of the listeners that are on the podcast today will probably enjoy it as well. If they do want to try out the wine, what are their options for purchasing Dry Farm Wines? Todd: I have a special offer for your audience today for them to get a free penny bottle. We can’t give alcohol away for free. It’s against the law. But we charge one penny for it so they can get a free penny bottle by going to this link: dryfarmwines.com/ancestralrds. They get a penny bottle of wine. It’s super flexible. We’re not trying to trap people into subscriptions. We sell wine basically to pretty regular wine drinkers and they just prefer to get a regular shipment from us. That’s kind of who our customers are. Also we’re a community of health enthusiasts. Everybody’s title at my company is the same. It’s called Health Evangelist. We’re really kind of fanatical evangelists about health and promoting health and we have the community around that. We promote other healthy information and we just want to help people live a better life. We’re not really just like an online wine store. That’s not what we’re trying to be. We’re a community of people who love performance, and health, and living a better quality life. It’s really a community. Laura: I think it’s really nice to know, like you said, if the person gets a box of wine and they start to drink it and they’re finding that they are having those health effects that normal wine is giving them…which again, haven’t seen that in real life yet, but it could always potentially happen…it’s really nice to know that you guys will give that refund. Because I think a lot of people that do have these health issues, they kind of get to the point where they’re like afraid to try anything because they don’t want to waste money, they don’t want to have a bad experience. Laura: I think it’s really awesome that if somebody is dealing with bad outcomes from drinking normal wine, that they can try out this box of wine that you’re selling as part of that membership. And if they if it doesn’t work for them, then they don’t lose anything. And if it does work, then they can decide whether or not they want to stay on that monthly or however frequent subscription that they can get it for. Todd: Yeah, they can get it every other month, whatever they want. It’s on our website. We have a very simple what we call our 100 % happiness guarantee. If they’re not happy with a bottle, we will replace that bottle, no questions. You don’t have to return anything to us. Just call us, send us an e-mail, send a pigeon, text, any way you want to communicate with us and we will just simply replace a bottle. Or again, if they’re having negative effects from it, which just like never happens, as I said we’ll keep the wine and we’ll give you all your money back. It’s that simple. I can tell you these things because this never happens. We replace out of thousands of bottles, thousands and thousands that get shipped from our warehouse every week, we replace a handful primarily from shipping damage. It’s like like something happened to the wine in shipping and people are like I think this wine got damaged or something. We just replace it, no big deal. But that does happen and we just replace it, no questions ask. Nobody has to return anything to us or anything like that. Drink the wine, drink it all and we’ll replace it anyway. Laura: Hopefully you guys can check out that Web site at dryfarmwines.com/ancestralrds and get your penny bottle, which is cool. I’ll probably take advantage of that discount myself. But we really appreciate you coming on today, Todd. It was awesome to hear not only all this information about what’s wrong with the wines that we normally buy, but also how to get some really good wines that we can actually enjoy without health issues. Todd: Awesome. Listen, I really appreciate you having me on the show today. It was a great time. I hope your listeners learned something. Drink wine, enjoy in moderation, spread love. Drink more wine with your friends. I really enjoyed our show today, Laura. Thanks so much for having me.